If your company is on the internet it is already a “global company”, but unless your business’s multimedia is speaking the local language, your marketing efforts could well be going completely to waste. While many localization businesses may be highly competent in translating even the most complex technical details and marketing materials using the printed word, there is much more that needs to be addressed. Multimedia is now the fast food of the internet and the Millennial generation, in particular, prefers its information in short interesting bites that hold their attention before they click their mouse or “tap off” to pastures new. Astute businesses are fast learning that it takes a varied range of visual, audio, and traditional written content to continue making their online voice heard. Interactivity with the user and audience capture are essential if your business wants to make inroads where a different language is spoken. Using an experienced and innovative multimedia localization partner is, therefore, the most prudent strategy you can choose, but on what criteria should that choice be made? In this article, we highlight some of the key points your business should be looking for before contracting with a multimedia localization partner. We have all seen plenty of those “dubbed over” movies that irritate us and unless you want your expensive video promotion to end up sounding the same, you need to be more than just a little careful. Even if you are only using screenshots, info-graphics, or animation, there is still plenty of room for misinterpretation, especially where local nuances are involved. Using a multimedia partner who employs native speakers is likely to ensure that these nuances are correctly addressed. The formatting and packaging of your initial message to suit the local audience is therefore crucial and the most cost-effective method for achieving this may be through starting from scratch. This means that your chosen localization partner should be capable of providing video production services that can be served on a global scale. If your global business is ignoring the latest data concerning the serving and usage of apps in a local demographic, it is also leaving some serious money on the table. 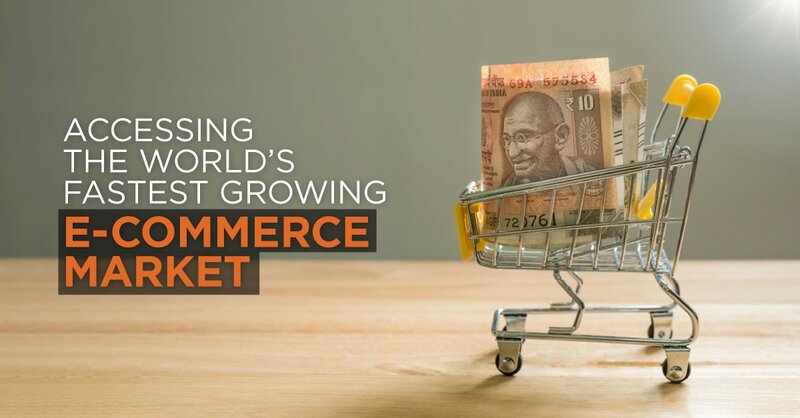 With an estimated 5.07 billion mobile users predicted by 2019 and over half of them being likely to download native language apps, the statistics speak for themselves. 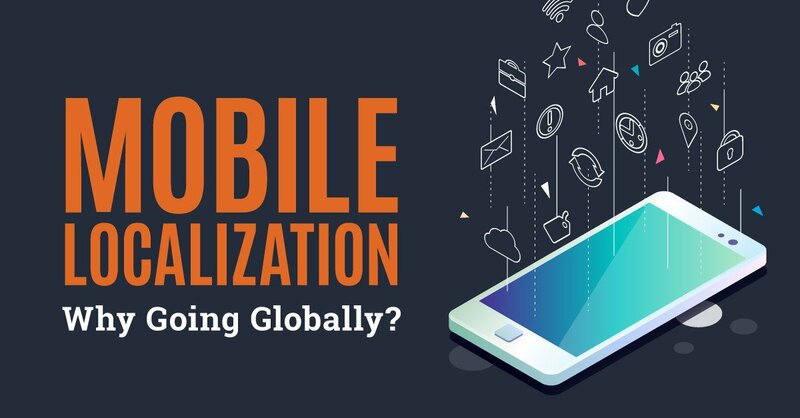 A predicted 148% increase in downloads for every country that has such apps should be more than enough to convince businesses that they need a multimedia localization partner that can provide such apps. Clients should be asking some basic questions of their localization partner where apps are concerned. 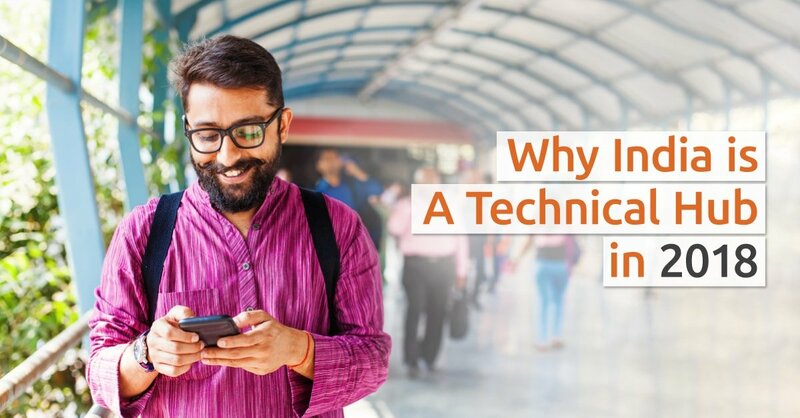 Such apps must be developed with the nuances of the local language firmly in mind and an understanding of the technical issues that are often specific to app localization. It should be born in mind, also, that cultural and local requirements for an app will run much deeper than simply the translation of languages. Although the nuts and bolts of multimedia localization may appear to be the production of the quality video, audio, and written content, they are merely the end functions of a much more detailed process. A professional multimedia localization partner will be able to provide much more than just a service that churns out the finished product at the end of the day. Unless your business is in the fortunate position of being able to fully manage and create all aspects of multimedia “in-house”, it is likely to benefit from partnering with a provider who can handle every aspect of a project. Even in cases where your business already has the available media and is thinking along the lines of a straightforward translation/edit to suit the local market, there will need to be a great deal of forwarding planning. 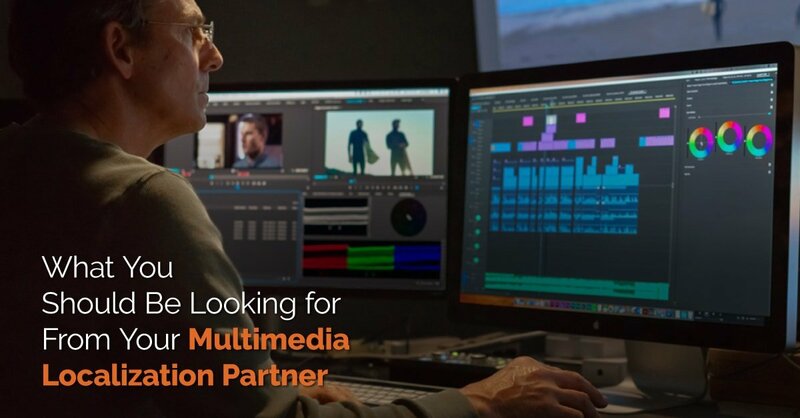 Choosing a multimedia localization partner that has a proven track record of working closely with its clients as a cohesive team at every stage is likely to produce optimum results across all your media types. Unless you are planning to apportion a large number of your own businesses resources to your multimedia localization project, you should be thinking about responsiveness on the part of your vendor. Your success (in part at least) is likely to rest on the responsiveness of your provider and that will call for a smooth and uninterrupted workflow. Choosing a multimedia localization partner who is able to handle every aspect of your localization project will leave your own business’s resources free to do what they are already doing best; running your business. Clear communication and an audit trail that is facilitated through best practice and a recognized quality assurance accreditation are usually the outward signs that identify the prime industry players. From eLearning and training materials to illustrations, graphics, and animation, your own remit is likely to expand across a diverse range of mediums that will then require a great deal of project planning. Your chosen partners should have experience in “best practices” for workflows and also offer the guarantees that can only be afforded through ISO or similar accreditation. In today’s crowded marketplace there are many voices calling out for the attention of your potential global clients and it is essential that you rise above the crowd. From DTP services and document translations to technical skills and a range of multimedia localization facilities, Contentech provides them all. 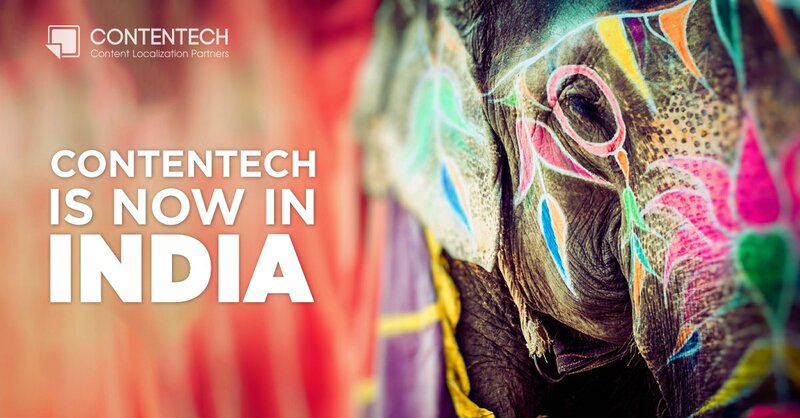 Contentech has offices in Egypt and India while our remote team of native translators and multimedia specialists are based in the many global locations that your business is eager to reach. If you desire your multimedia localization project to achieve its maximum potential you need to Contact Contentech. Talk to us today and discover the difference that working with a professional localization team can make to your global business.